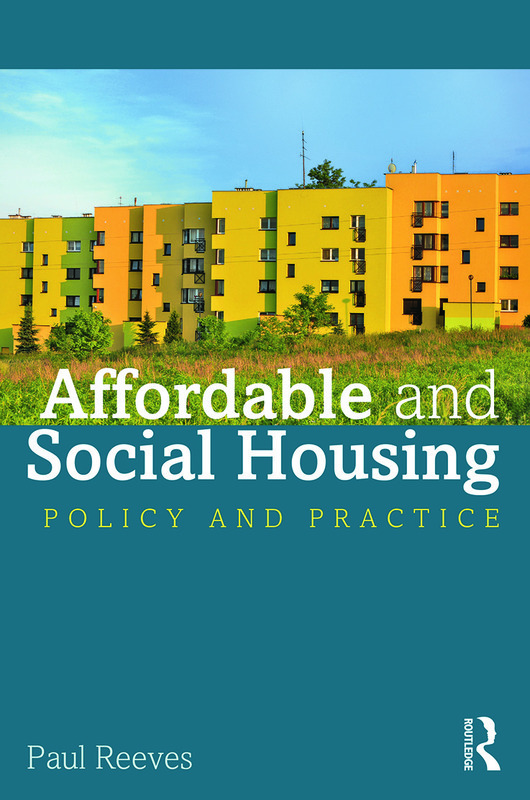 Affordable and Social Housing - Policy and Practice is a candid and critical appraisal of current big-ticket issues affecting the planning, development and management of affordable and social housing in the United Kingdom. The successor to the second edition of the established textbook An Introduction to Social Housing, the book includes new chapters, reflecting the focal importance of customer involvement and empowerment, regeneration and the Localism agenda which will have radical impacts on housing provision and tenure, as well as the town and country planning system which enables its development. There is also a new chapter on Housing Law in response to demand for a clear and signposting exposition of this often complex area. Reeves indicates how each theme affects the other, and suggests policy directions on the basis of past successes and failures. Paul Reeves takes a people-centred approach to the subject, describing the themes that have run through provision of social housing from the first philanthropic industrialists in the 19th Century though to the increasingly complex mixture of ownerships and tenures in the present day. The book is ideal for students of housing and social policy, and for housing professionals aiming to obtain qualifications and wanting a broad understanding of the social housing sector.